Item # 309812 Stash Points: 695 (?) This is the number of points you get in The Zumiez Stash for purchasing this item. Stash points are redeemable for exclusive rewards only available to Zumiez Stash members. To redeem your points check out the rewards catalog on thestash.zumiez.com. 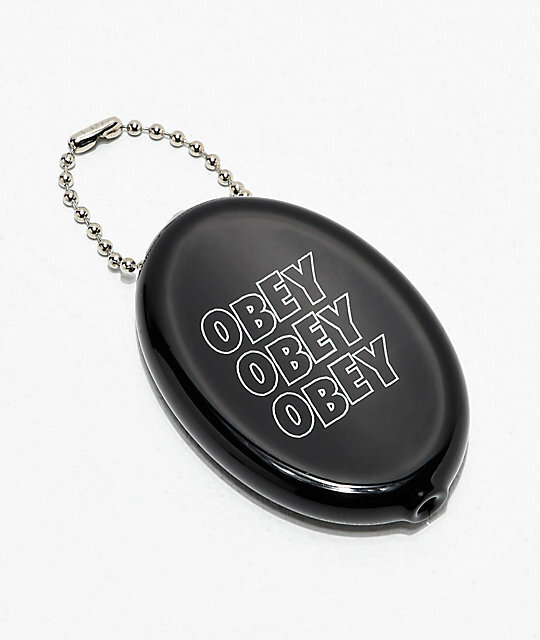 Keep your change in one spot and at easy reach with the Jumble Stacks coin holder from Obey. A super soft, pliable plastic oval pouch has a slit down the middle, so a simple squeeze at each end will open the pouch up to hold anything from pennies to quarters. 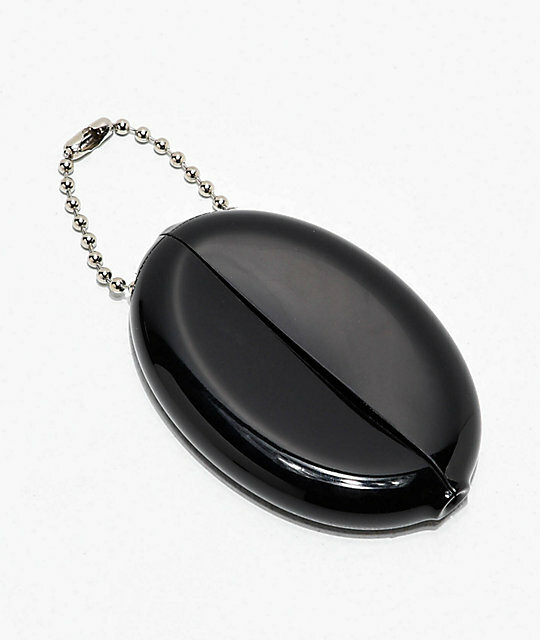 The added ball chain will easily let you attach the pouch to any keychain. Jumble Stacks Black Coin Holder from Obey. Repeating "OBEY" script on the front. Oval, soft, pliable plastic coin purse.